Arran is the largest island in the firth of Clyde with a population of approximately 4629 and an area of 432 square kilometres. With its dramatic coastline, sheltered beaches and distilleries its main industry is tourism. There is a wealth of history and culture on the island including the Stone Circle at Machrie Moor and the Brodick Castle and Gardens Country Park. For the more energetic the Goatfell is the largest mountain in Arran and rises 2866 Ft above sea level. The tourism industry has grown over the years to include cheese makers, beer, ice cream and oatcakes as well as the famous whisky distillery. The Auchrannie resort which hosts restuarants, swimming pools and leisure parks is the biggest employer on the island. 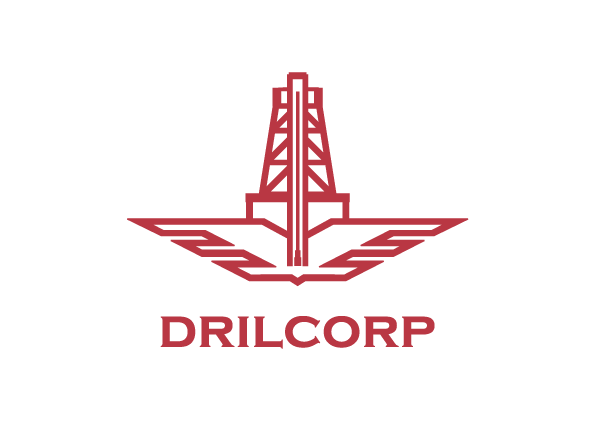 Back in 1998 Drilcrop were contracted by West Scotland Water to look for water on Arran. 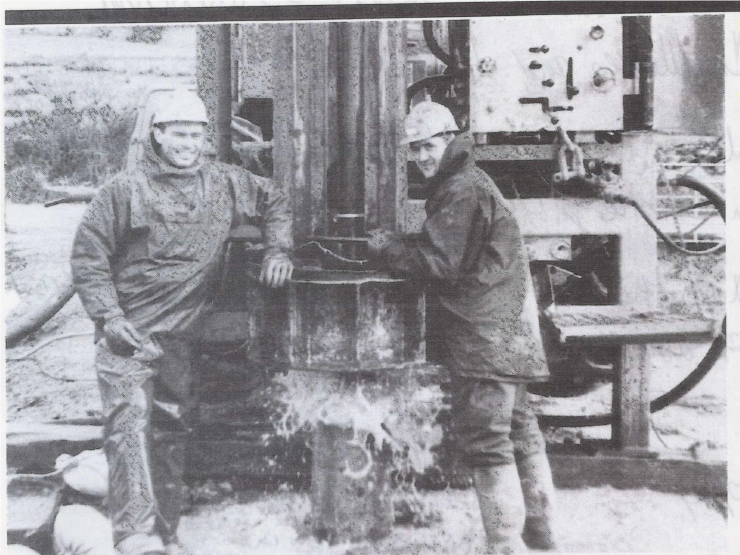 At the time our lead driller was Lee Berry and second man Tony Walker. 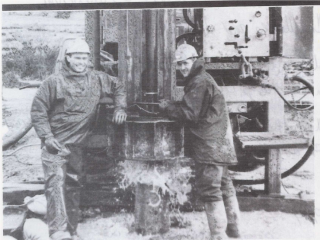 4 Boreholes were needed as a trial in the area of Balmichael which later became the main water supply for the island. While on site Lee commented that the water was constantly gushing up the sides of shaft as the drill rotated very slowly but with a hammer action. On their second hole they had reached 67 metres. After every metre they extracted the drill to take samples of the core which was used to build up a picture of the strata at different levels. The core samples were carefully labelled and recorded and given to West Scotland Water who would use them in the future to give them a clear indication of where to get their water supplies. The rock on Arran is mainly sandstone and conglomerate and test drilling proved that there was an ample water supply beneath the land. The area was chosen because the geological survey had shown that there were large tracts of sandstone which often yields water. One of the wells drilled proved to be artesian. Balmichael is now the site of the water treatment works for Arran serving over 2500 properties. It underwent a major overhaul in 2015 to improve the water quality for the customers on Arran to provide clearer and fresher drinking water. The upgrade of the Water Treatment Works, which treats water from boreholes, involved the installation of a new water treatment process on the existing site, using a filtration membrane with very fine screens.